How to plan a trip? Create your Travel Masterplan! How to plan a trip? that's a good questions and no single correct answer. There are a lot of different ways to plan a trip. The general rule is, the more time you put in planing a trip the more precise the plan will be and less things will happen unplanned and go wrong. And the less time you spend on your planning the more you have to care about and manage while you are travelling. Actually it is not wrong to go on a trip without any plans, then things don't go wrong because you take everything how it comes. But that's not everyone's cup of tea. 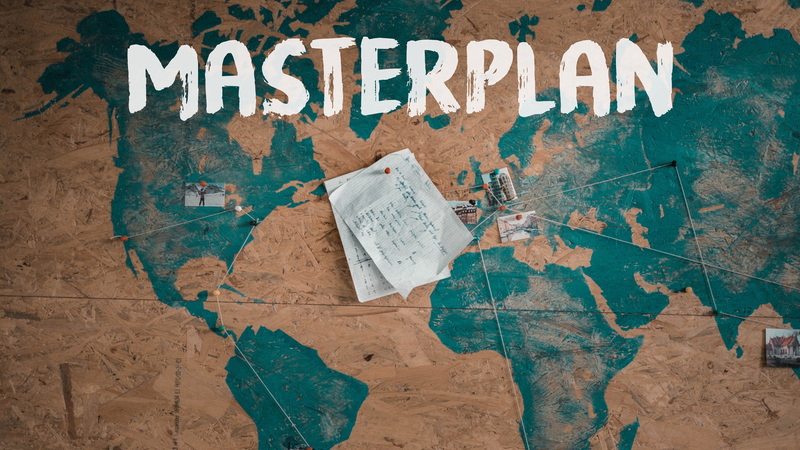 This is why i am writing down, how to plan a trip and i produced a video explaining how i set up a travel master plan for myself. I plan my trips on google sheets. It is basically the same like Microsoft Excel, you might know this application, but with less features for formulas and calculations. But you won't need super professional calculations for your travel plan. I prefer google sheets because it is free and cloud based. Cloud based is important because if you lose your phone or notebook you can log in to your plan online with a google account wherever you are from any device and that's practical especially while you are traveling. But there are other ways to plan your trip on. Like mentioned above it can be on Microsoft Excel or a piece of paper. What you need is a document where you can create rows and columns. On the very first row of your sheet you will define the columns. Simply from left to right you'll define some titles that describes what the rows will show. This is not a written rule, you can be creative and write down what is useful for you. This is just an idea and might be inspirational for your plan. Under the column titles you start to fill in happenings or corner stone events in every single row. i'll show you an example down below of one of my travel plans. You don't need to fill out every column for every event. Only fill out whats is relevant. For example a hotel arrival don't needs an exact time mostly. Or you can define a happening without a specific date, you'll just place it under a row so you remember you plan to do this after the event standing above of it. The cool thing, when you work with an application like Excel or Sheets, is that you can add and remove rows under and above some existing rows. This is an example of an existing trip plan i created for my travels to Brazil. Here you can see that i also like to work with colors: important things red, fixed things green. Have you ever wondered how to travel the world for free? or where to get the cheapest flight tickets? how to discover places which are not overrun by tourists? then you are on the right site here! While i have traveled to every continent on earth (except Antarctica) i visited hundreds of different cities, thousands of hotels, restaurants and perfect spots. While this adventure i learned so many useful things. From travelling on low budget to staying in luxury resorts i share all my hacks, tips and tricks in this series. Perfspots stands for Perfect Spots. My passion is to explore places I've never been before. While running a startup, i travel as much as possible. Here i share the Perfect Spots i enjoyed the most. Spots you can get a great meal, sip a coffee with a breathtaking view or experience an exciting adventure. learn more about the project.